10G performance in the field. 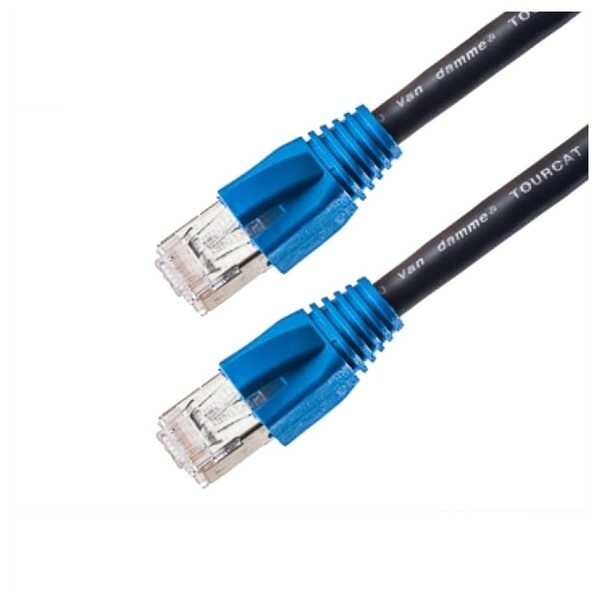 The Van Damme TourCat Cat 6A Flexible S/FTP RJ45 Cable provides you with 10G performance combined with a robust construction that makes it suitable for touring and dynamic use. Utilising Van Damme's high-performance TourCat Cat 6A stranded conductor cable in combination with VDC Cat 6A shielded RJ45 connectors, this network cable is the ultimate choice for professional audio-visual applications. Every Van Damme cable is crafted with care in the United Kingdom using only the highest-quality materials. The TourCat Cat 6A Flexible S/FTP RJ45 Cable provides you with plenty of headroom when using common Gigabit and 100MBit protocols. The cable features individually screened pairs of conductors, as well as a 75 percent coverage overall braided screen. When you need performance that you can rely on, Van Damme Cables give you the results you need.